I removed Zorin, and put Ubuntu back on, and I’m sticking with it. Ubuntu version 10.10 Netbook. I started with Ubuntu, I messed it up trying to install Veetle player. People said I’d probably like Linux Mint better, so I tried it. I didn’t really like it. Then I found Linux Zorin 4 Lite. I tried it, but it seemed like it was missing a lot of stuff, like a search my computer function. And the software manager showed me all these programs that were supposedly installed, but I couldn’t find them. SO I switched back to Ubuntu on my netbook. As you have been reading, I switched from Windows to Linux Ubuntu on one computer. I got many comments, several who said try Linux Mint. Well, I wanted to re-install Linux so that I could give it a bigger partition (and windows a smaller one), so I installed Mint. I didn’t like it, I didn’t like the way it looked for one thing. I thought it looked better than Ubuntu at first, after a while I didn’t like it, and it made me like Ubuntus look more. Number two, I would install an astronomy program, Stellarium, and then it wasn’t there. I’d install it again, and it just wasn’t there. I can’t explain it. It seemed like it was installing properly. That happened with another program, Penguin Freecell too, I believe. I never spent much time trying to figure out what was going wrong, I just got rid if it. Then I heard about a Linux program called Zorin Lite. I installed it, and I like it, pretty much. One thing I don’t like, is that it has “enhanced security” which means I have to enter my username and password. I was bitching before about just having to enter my password. Anyway, I’m testing it now, but I think Zorin will be the one I keep. I am seriously thinking of making the switch from Windows to one of the Linux Operating Systems. The two most popular Linux systems are Fedora, and Ubuntu. 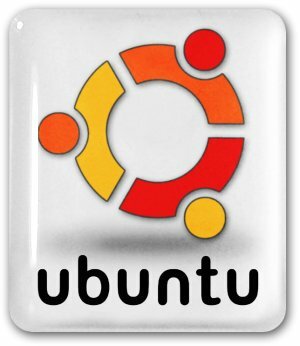 I chose Ubuntu because one review I read said it is slightly more user friendly. Plus Ubuntu has a netbook version. And you can load Ubuntu onto a USB drive, and test it out by booting your computer from the USB. I tried that for a few days, then I went ahead and installed it beside my Windows XP. Now it’s been about a week and I’m thinking of removing Windows. Ubuntu is so much better in a lot of ways. For the most part, generic versions of all the most common drivers are built into the OS, so you don’t need a hard-to-find manufacturers driver for each and every device in your system. No anti virus program needed, (at least no one is telling me I need one.) No tons of apps running in the background, (look in your system tray, by the clock in the lower right corner of your screen.) All those icons show SOME of the programs running in the backgound that are consuming your computers resources, and most of them you aren’t using and your computer doesn’t need. Another thing I mentioned before is Windows updates pisses me off. I install them after being harassed, Then I start getting harassed to install more as soon as I get done. Ubuntu releases updates every six months. I can handle that. Plus there are tons of free programs available, for almost everything. I got a most excellent astronomy program. There is Open Office, which handles all Microsoft Office programs, free and built in. I don’t claim to know it all, I have barely seen the tip of the iceberg. I have a problem where I have to logon when the computer boots, and I have all the settings I can find set for “do not ask for password”, but it still asks. I’ll find it. Most of the programs install the same way you are familiar with, click the install file. But I have one program, that I need to install by “running a terminal” which I haven’t figured out how to do yet. The problems I have with Ubuntu are minor, caused by me not knowing the system yet. Overall, Ubuntu is very good and it’s free! Since I installed it, I haven’t missed Windows. 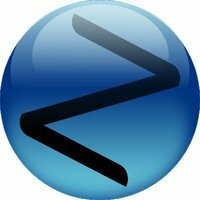 I have never yet had to go to a Windows computer to do something I couldn’t do with Ubuntu.